In this blog post, I will provide a brief report about the 12th Intern. 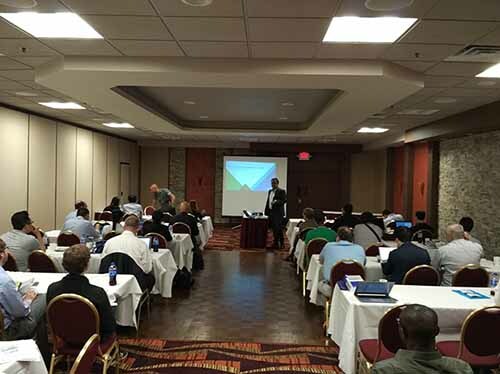 Conference on Machine Learning and Data Mining (MLDM 2016), that I have attended from the 18th to 20th July 2016 in Newark, USA. This is the 12th edition of the conference. The MLDM conference is co-located and co-organized with the 16th Industrial Conference on Data Mining 2016, that I have also attended this week. 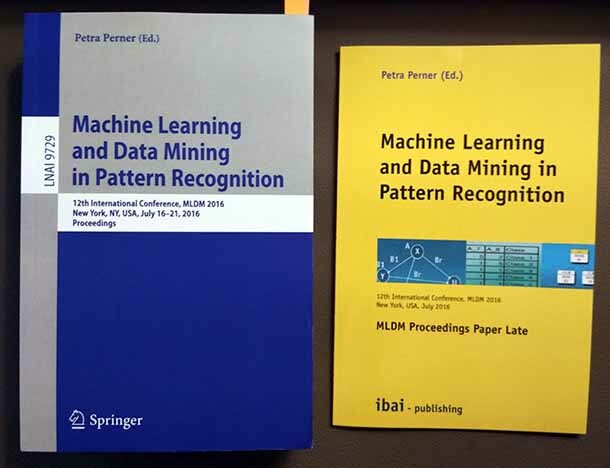 The proceedings of MLDM are published by Springer. Moreover, an extra book was offered containing two late papers, published by Ibai solutions. The acceptance rate of the conference is about 33% (58 papers have been accepted from 169 submitted papers), which is reasonable. The first day of the MLDM conference started at 9:00 with an opening ceremony, followed by a keynote on supervised clustering. The idea of supervised clustering is to perform clustering on data that has already some class labels. Thus, it can be used for example to discover sub-class in existing classes. The class labels can also be used to evaluate how good some clusters are. One of the cluster evaluation measure suggested by the keynote speaker is the purity, that is the percentage of instances having the most popular class label in a cluster. The purity measure can be used to remove outliers from some clusters among other applications. After the keynote, there was paper presentations for the rest of the day. Topics were quite varied. It included paper presentations about clustering, support vector machines, stock market prediction, list price optimization, image processing, automatic authorship attribution of texts, driving style identification, and source code mining. The conference ended at around 17:00 and was followed by a banquet at 18:00. There was about 40 persons attending the conference in the morning. Overall, there was some some interesting paper presentations and discussion. The second day was also a day of paper presentations. The topics of the second day included itemset mining algorithms, inferring geo-information about persons, multigroup regression, analyzing the content of videos, time-series classification, gesture recognition (a presentation by Intel) and analyzing the evolution of communities in social networks. 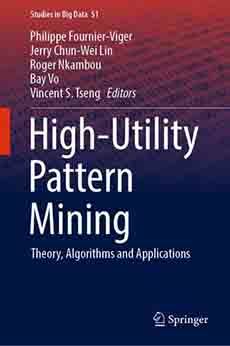 I have presented two papers during that day (one by me and one by my colleague), including a paper about high-utility itemset mining. 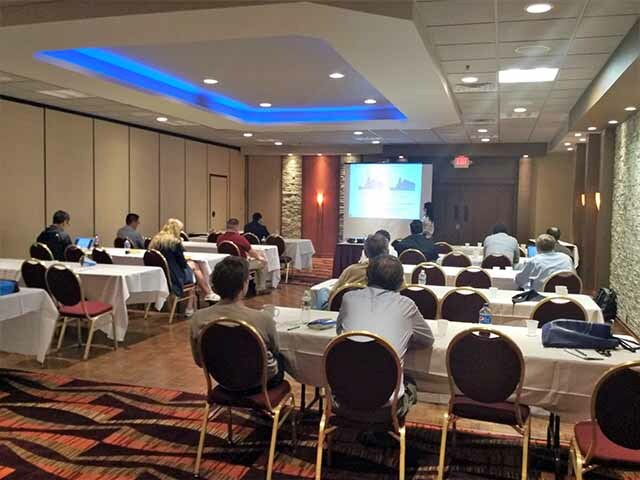 The third day of the conference was also paper presentations. There was various topics such as image classification, image enhancement, mining patterns in cellular radio access network data, random forest learning, clustering and graph mining. It was globally an interesting conference. I have attended both the Industrial Conference on Data Mining and MLDM conference this week. The MLDM is more focused on theory and the Industrial Conference on Data Mining conference is more focused on industrial applications. MLDM is a slightly bigger conference. Both of these conferences are not very big, but are at least published by Springer, which ensures some visibility to the published papers.